Ever since Concept2 first turned an old bicycle upside down, bolted it to the floor and pulled on the end of the chain (the rudimentary prototype for their now ubiquitous indoor rower) the Vermont based company has largely opted refine rather than grow their concise product range. It was to much excitement then late last year that, for only the third time in their 40-year history, Concept2 began production of an entirely new machine; the BikeErg. In many ways a bike was an obvious step. 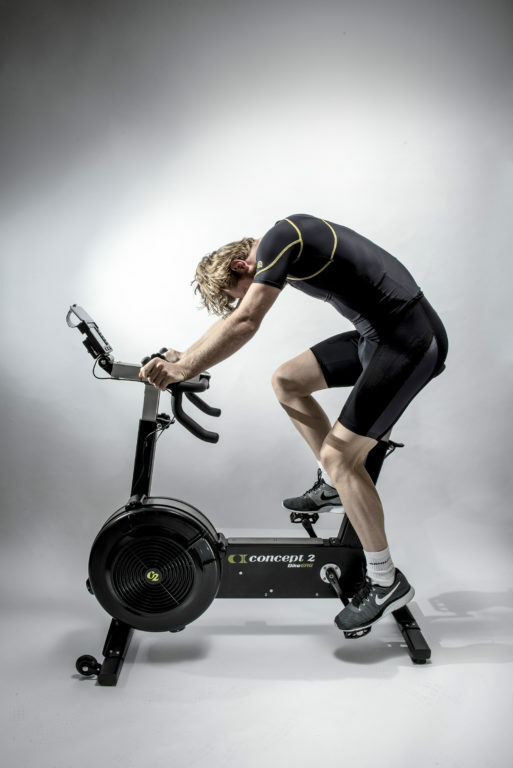 Cycling fits neatly with Concept2’s functional fitness product range – alongside skiing and rowing. 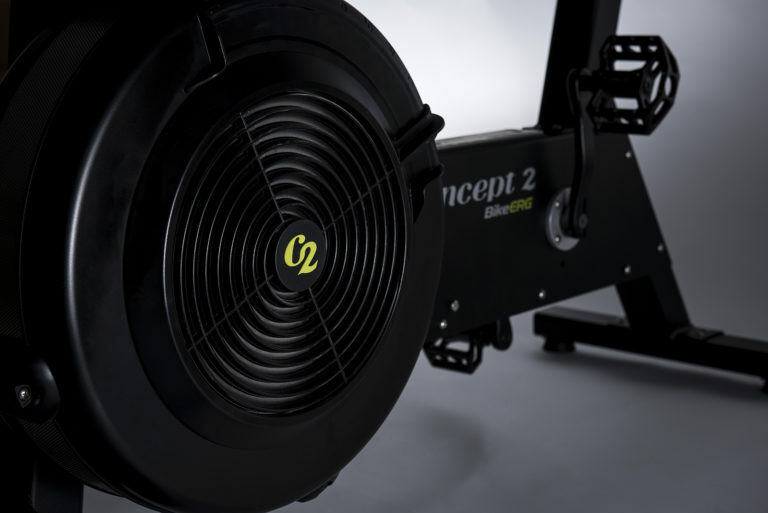 Rowers like to train on bikes, why not make it a Concept2? According to C2’s engineers though the bike took far longer to perfect than they had envisaged. Having now had the chance to get our hands on the finished product, we are glad they stuck it out. Joining the SkiErg and the indoor rower, the BikeErg represents all the attention to detail, sturdiness and simplicity of use that we’ve come to expect from Concept2. And like the SkiErg and the indoor rower, the BikeErg uses the same flywheel/damper technology to provide the air resistance and the same PM5 monitor to track your performance. Effort can be measured in watts, 1000m splits or calories and Bluetooth connectivity allows racing, both nearby or online, via connected apps. It even works with Zwift. The flywheel damper adjusts resistance much like the gears on a regular bike, and rowers will notice the range of resistance feels far greater than that of the indoor rower. Pushing it up to level ten requires some serious cranking. Concept2 have applied their usual simple and intuitive touch to the handlebar and seat height adjusters. Just pull the seat to raise it and it will remain locked at the required height; a flick of a lever lowers it. No fiddly pulling of pins or twisting of knobs here. 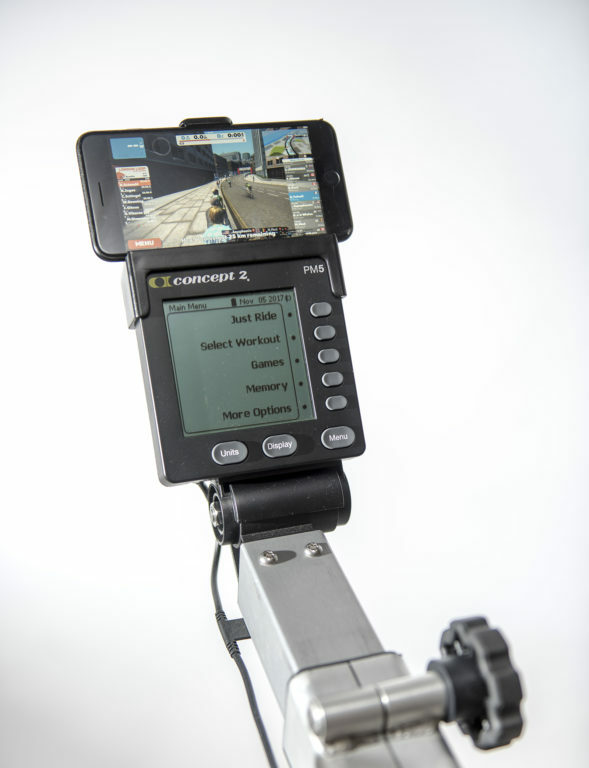 The platform pedals can also be easily switched with cycling-specific clip-in pedals. The price is another standout feature. 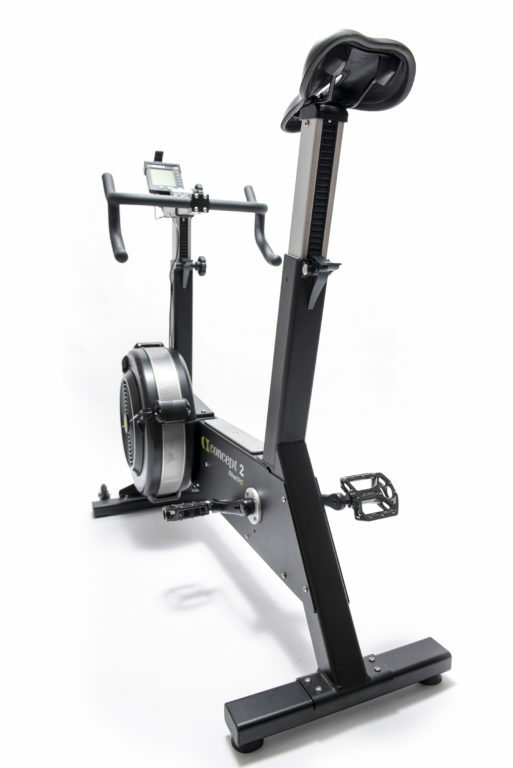 At less than 1000 USD/GBP, the BikeErg represents a viable option to rowing clubs and fitness users, not just the fanatical cyclist. 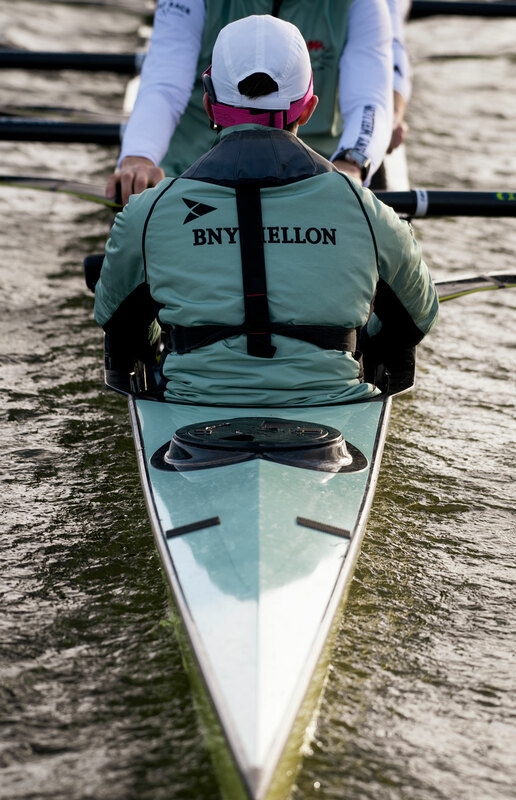 The secret to the accuracy and consistency of the performance monitor on which Concept2 has built its reputation is the way that it measures the run-down of the flywheel between strokes. Put simply, this balances out any variables in atmospheric pressure and anything else that may affect the score. In the case of a stationary bike, there is no off-period, no run-down. To ensure perfect comparison from bike to bike, Concept2 had to entirely rethink the approach. The BikeErg uses both temperature and air pressure sensors inside the flywheel housing as well as sensors to determine the angle of the flywheel damper – a far more complex system that took more than two years to perfect, but one that ensures Concept2’s trademark accuracy and consistency from machine to machine. Well worth the wait and modest price tag. A robust machine that is simple, affordable, accurate and effective. What else would you expect from Concept2?